The Jurassic World and Law & Order: SVU actor tied the knot this past weekend in Brooklyn. 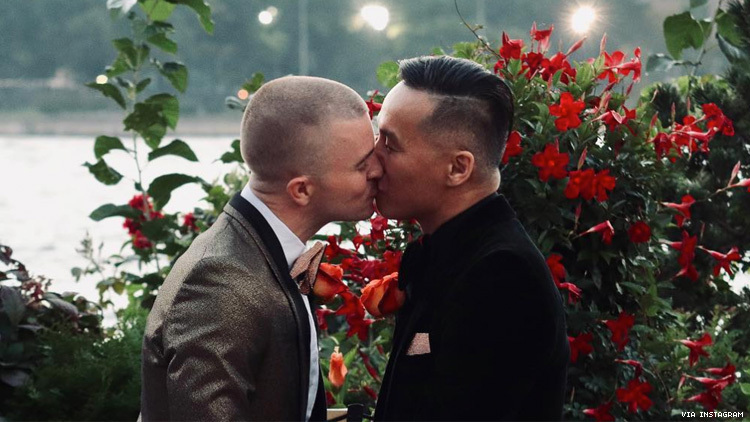 BD Wong, one of the first famous openly gay Asian actors in Hollywood, married his longtime partner, Richard John Frederickson Schnorr. The couple had been dating for eight years and met back at a singles event in 2010. The Law & Order: SVU star had a intimate ceremony in Brooklyn this past Sunday night. Ana Matronic from the Scissor Sisters was spinning for the big day. Schnorr took to Instagram to post adorable pictures of the happy couple at the wedding and to thank all in attendance.